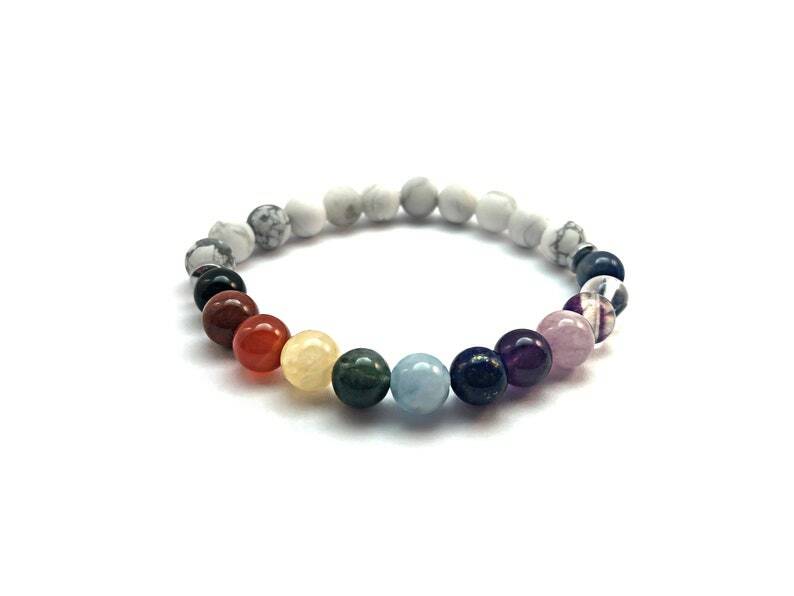 This Lovely 12 Chakra bracelet is made of all genuine semi-precious stones to enhance your yoga meditation and balance your chakras. It targets the most relevant physical and ethereal chakras. - Kunzite: Divine Love, Emotional Balance, Trust, self-love, alignment with universal love, calming, compassion, tolerance. - Rainbow Fluorite: intuition, mental ability, clarity, ward off low vibrational energy (bad energy). Great for meditation, calming, aura cleansing. - Kyanite: Attunement stone, serenity, meditation, chakra alignment, releases energy blockages, energy movement, energy balance, higher connection stone. Throat Chakra and Soul Star Chakra Stone.